We have some Great News! 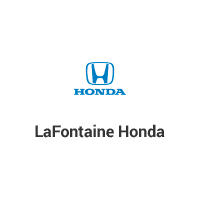 Former Honda Sales Professional Salama Almardaa is now back at LaFontaine Honda. Salama looks forward to serving the community again with all of your vehicle needs. Whether it is a new or pre-owned vehicle, he has got you covered. At the LaFontaine Automotive Group, he has full access to 18 different brands of new vehicles and close to 2,000 pre-owned vehicles in stock. Feel free to stop in or call Salama at any time and let him show you what the Family Deal is all about. We make every effort to provide accurate information but please verify options and price with management before purchasing. All vehicles are subject to prior sale. All financing is subject to approved credit. Dealer installed options are additional. Stock photo colors, options and trim levels may vary. Not responsible for typographical errors. Published price subject to change without notice to correct errors and omissions or in the event of inventory fluctuations. Vehicles may be in transit to dealer. Vehicle photos may not match exact vehicle. Please call to confirm availability status. All prices exclude taxes, title, license, and dealer processing fee of $499.00.